As I stated in parts one and two on Cosmic Evolution, there are two main categories of problems with the Bang theory, the currently accepted theory of how the cosmos and all space, time, and matter “evolved” into existence. There are clear logical problems and there are thousands of scientific problems. I highlighted a number of the logical problems in part one and a number of the scientific problems in part two. If I were a Darwinist, I would have the uncanny mental ability to ignore logic and facts that refute my theory of creation absent a Creator. In that case, I could focus exclusively on even the flimsiest threads of evidence that support my theory and cling to that with religious zeal and fervor. In order to understand the Darwinist worldview, one must first understand some basic rules of the scientific process. Good science is simple. Good science is observable. Good science models reality. Good science is predictive and makes many specific, correct predictions. 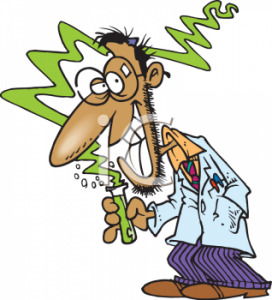 Good science relies upon very few assumptions and NO arbitrary assumptions which cannot be validated by experimentation. There was no real reason for all the other planets and the sun to take curvy twisty orbits around the heavens, and no observable reason why they would, but it made his model work, and the word “epicycle” sounds authoritatively scientific enough that it assured folks that some great scientific truth had just been revealed. Using Ptolomy’s math, it is possible to make some fairly accurate predictions about where heavenly bodies are going to appear in the sky. However, the predictions were not specific or highly accurate, the math is complex, and, the entire theory is obviously based upon a number of arbitrary assumptions. 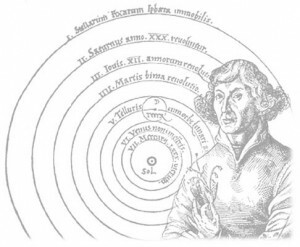 By contrast, Nicolaus Copernicus is mainly recognized as popularizing a heliocentric solar system (the planets orbit the sun). His model was much simpler and described circular orbits. This model relied upon far fewer arbitrary assumptions, was fairly simple in terms of the math when compared to the math required by Ptolemy, and made more accurate predictions about where heavenly bodies would appear in the heavens. Johannes Kepler later refined the math when he proposed somewhat elliptical orbits instead of perfectly circular orbits. Changing that single assumption simplified the math even further and resulted in many more specifically accurate predictions about where heavenly bodies would appear. It still wasn’t perfect, but compared to Ptolomy’s geocentric epicycles, it was much better science and made much more accurate predictions. Then Isaac Newton discovered the math behind the nature of gravity and established the highly elegant and simple math that would form the laws of motion. Applying this very simple math to the Kepler equations resulted in a lack of any arbitrary assumptions and many highly specific and accurate predictions. So accurate and so specific was this simple math, that when a “wobble” was discovered in known planetary orbits, astronomers pointed their telescopes to a predicted location in the heavens and discovered the planet Uranus. Mapping out the orbit of the planet Uranus, they discovered yet another wobble. Again, using this good and simple science, astronomers pointed their telescopes to a different predicted place in the heavens and discovered the planet Neptune. Good science is simple. The Big Bang started as a fairly simple theory. There is no way it could be described as simple by anyone anymore. It is now so complex and arcane that it would honestly take a multi-disciplinarian approach and probably Masters or Doctorate level understanding of each to fully comprehend every aspect of the entire theory. It is a muddled, complicated mess of contradictory data based on often contradictory assumptions. Good science relies upon very few assumptions and no arbitrary assumptions. Big Bang does not. It relies upon an endless parade of assumptions and hundreds of very arbitrary assumptions starting with the conditions of the universe at the beginning, the laws of thermodynamics, the laws of motion, the laws of physics, the nature of orbital mechanics, the way galaxies and stars form, and on and on and on. Good science is observable. Obviously, no human being could have possibly observed the Big Bang. However, we should be able to observe some of the aftermath in a quantifiable way as well as any predictions the model demonstrates. Remember that good science is predictive, models reality, and makes many specific, highly correct predictions. In the face of the serious logical problems that refute Big Bang, and in spite of the thousands of scientific problems that refute the theory, there are TWO whole scientific facts that form the entire basis, ALL observable evidence in the known universe, that Big Bang occurred. Remember, Darwinists have the uncanny mental ability to ignore logic and facts that refute their theories of creation absent a Creator and cling to the very fine spiderweb threads that tend to support it. First discovered in 1965, background radiation, also called microwave radiation, is said to be the single, best evidence that the Big Bang DID occur. It is said to be the leftover remains, the last remnant, of the Big Bang explosion which was, theoretically, the largest and most powerful explosion in the history of the universe. If Big Bang actually occurred, despite all the evidence to the contrary, there should be background radiation throughout the known universe. It would come from only one direction— the Big Bang source. It would have the right radiational strength to match the Big Bang mathematical theory. It would emit the proper spectrum. It would not be a “smooth” radiation. That is really an impressive array of highly specific and impressive predictions, but guess what. It is omnidirectional. Background radiation comes from every direction, not just one. The Big Bang theory requires that it come from only one direction—from where ever the Big Bang occurred, the center of the known universe. Since its discovery, scientists have been unable to match its directional radiation (called isotropy) with the Big Bang predictions. The radiation does not fit the theory. It is far too weak. It should be much more powerful than it is. 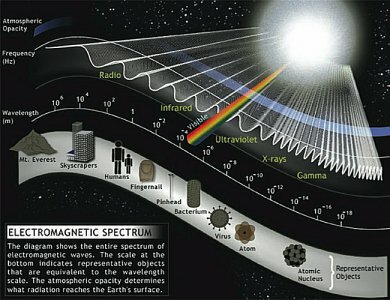 Big Bang predicted microwave radiation as much 300 times stronger than the actual radiation present in the universe. The spectrum should be far hotter than it is. The heat emitted by the radiation should have a far higher temperature. 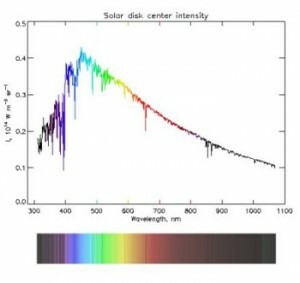 The radiation should emit a 100o K or hotter total light absorption (called “black body”) radiation spectrum, which is far greater than the 2.73o K spectrum it now has. Background radiation lacks the proper spectrum. It does not have the ideal black body capacity to agree with the Max Planck calculation. This radiation does not fit the theoretical 2.7K black body spectrum required for the Big Bang theory. Background radiation is too smooth. The theory requires that it be much more irregular and “lumpy” (with “density fluctuations”) in order for it to explain how stars could be formed from the Big Bang explosion. In recent years, some slight variations in smoothness have been detected, but this is still not enough to fit the theory. The omnidirectionality of background radiation alone actually tells where the background radiation really comes from: “Background radiation” is actually a slight amount of heat given off by stars and collapsing gas giants throughout the universe. It is predictable that stars, collapsing gas giants, and other hot heavenly bodies emit a slight amount of uniform, omnidirectional radiative heat. It is also expected that the radiational heat emitted by hot heavenly bodies should, at great distances, show very slight fluctuations. Solar flares occur regularly and can account for slight fluctuations. Darwinists can discount the fact that stars emit heat into space while, inexplicably and simultaneously, acknowledging that our own sun keeps us warm. To summarize, omnidirectionality, very slight amount of heat, general smoothness, with radiative fluctuations in strength is what we would expect from radiational heat from the multiplied trillions of trillions of stars that exist throughout the universe. In summary, all four of the “highly specific predictions” made by the “single best evidence that the Big Bang occurred” are just plain wrong. The next “best evidence that the Big Bang occurred” is called the redshift. Relatively white light can be split by a triangular prism of glass into all the colors of the rainbow. Using a spectrometer, this can be done to starlight. Dark, vertical bands mark the spectrum at various points. Analyzing these dark bands, the types of elements in each star can be ascertained. A spectrogram is a photograph of a star’s spectrum. Okay, now Ultraviolet is on one end of a spectrum and has a higher frequency and shorter wavelength than visible blue light. Infrared is on the other end of the visible spectrum and is most often just called “red”. Every star is redshifted to some extent. That is, the entire spectrum of any star is moved toward the red end to some extent or another. The the more its light is shifted toward the red, the farther a star or galaxy is assumed to be from the earth. This displacement is called the redshift. Given all that, Big Bangers theorize that this redshift demonstrates that the universe is expanding outward from the central source of the Big Bang explosion. They base this notion on the hypothesis that the “speed theory” which is also called the Doppler theory, of the redshift is the only cause of the redshift. I emphasize again, Darwinists can ignore any evidence, logic, or any notion at all that tends to contradict their theory of creation without a Creator. The Speed redshift or Doppler theory of redshift posits that if a star were moving away from us, it would create a redshift. According to speed redshift, if light is traveling toward us, the wavelength is slightly compressed or shortened due to the Doppler effect. This would cause the light to be blueshifted. If it is moving away from us, the wavelength is stretched out, which causes a redshift. Darwinists assume that, “because Darwinism is true,” all stars are moving away from us, and there is no other cause for the recorded redshifts. Gravitational redshift: The pull of gravity on light rays would cause a loss of energy in the beam of moving light. 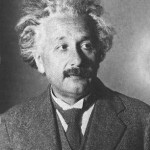 In 1915, Albert Einstein predicted that gravity would bend light—and that it would cause a redshift. This was proved to be true in 1922. As light travels toward us from distant stars, it passes other stars, which slightly slows the beam, causing its spectrum to shift toward the red. 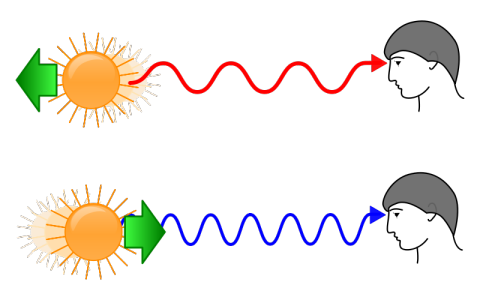 Second-order Doppler shift: A light source moving at right angles to an observer will ALWAYS be redshifted. This would occur if the universe were moving slowly in a vast circle around a common center. We know that every body in the universe is orbiting and, at the same time, moving in some direction with its orbital body. Much of that movement is at right angles to earth. Energy-loss shift, also called tired-light redshift: Light waves could themselves directly lose energy as they travel across long distances. This could explain why the farthest stars from us have the most dramatic redshifts. Given the multiple possible explanations for redshift, clinging to one possible and rather hypothetical possibility seems an awful lot like adding epicycles to planetary orbits to me. But the nail in the coffin of the speed redshift premise is that it puts us firmly back into a geocentric model. Not really, but it essentially puts our solar system at nearly the perfect center of the universe. Every single star we see in the heavens is redshifted. What that means is that every single heavenly body is moving away from us if speed redshift is assumed to be the sole cause of redshift. Why are no stars or galaxies moving toward us even slightly? 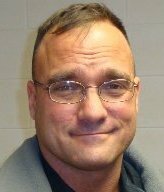 If we are on the periphery of the Big Bang explosion, it stands to reason that some of our brother shrapnel would be flying in our direction, especially given Big Bang’s premise of particles being attracted to each other in the first place. Explaining these in great detail might require you or me to obtain a PhD and would likely bore most people without cross-disciplinary understandings because of the arcane complexity of the subject matter. That being the case, I will summarize in only brief detail. Flatness Problem (Expansion Rate v Gravity): This has to do with the fact that the expansion rate of the universe versus the force of gravity, which is an attractive force, are balanced at 1 to 1. This is rather arcane, but the point is that physics allows for an infinite ratio. The fact that they are perfectly balanced presents a problem with no explanation. Light Travel Time Problem, aka, Horizon Problem: This has to do with the fact that the background radiation in the universe is so uniform. If this resulted from an “evening out” of the heat after the cataclysmic explosion described by Big Bang, then there is simply not enough time. For example, imagine setting off a stick of dynamite in the center of a swimming pool. How long would it take for the ripples to travel outward and rebound until the surface of the pool once again evened out? The best Big Bang models do not allow enough time for the background radiation to have “evened out” into the uniform density and temperature we observe throughout the entire universe because light has not had time to travel the distances involved. Monopole Problem: This has to do with the fact that, just as there are positively and negatively charged particles, we would expect that there would be particles that are strictly magnetic north or magnetic south in polarity. These are known as magnetic monopole particles. Physics tells us that they should have been created alongside positively and negatively charged particles in the super hot and super energetic conditions described by Big Bang. The thing is, there aren’t any. The ability to recognize facts implies intelligence. The ability to cope with facts, even when those facts undermine our beliefs or don’t suit our biases or deeply held convictions implies maturity. With maturity, one can reach enlightened conclusions. When one reaches the enlightened conclusion that there is a Creator worth our admiration and respect, then one can begin to seek wisdom. The kind of respect one might have when meeting the President or the Queen of England is described in ancient language as fear, which doesn’t mean to be terrified, but rather to be cautious, circumspect, and respectful. I encourage you to see the universe as it actually is in the perfect wisdom of the Creator, not how man wishes it were in his fallible wisdom. Great job explaining!! My family and I are big big followers of the Answers In Genesis Museum in Kentucky. You can never get enough info. Thanks again! This is something we decided I would do each Sunday to, mainly, spread the truth about Creation and the falsehoods of Darwinism, and also to give my lovely bride a “day-off” from blogging. We love the AIG museum since, naturally, we live close-by. Click on the Creation category on the right hand side to read all of the related posts and check back each Sunday for a fresh post. That’s not quite how gravitation redshift works. As light moves towards a star, it gains energy. As it travels past a star, it bends. As it moves away from the star, it loses energy. If the star is stationary, the amount of energy in will be equal to the amount of energy out. That’s just the same as a comet passing a star so we shouldn’t be too surprised. If the star is moving, there will be a slingshot effect which will cause energy to be transferred from the star to the light or from the light to the star. Since stars are usually moving directly away from us, the effect will usually be negligible. While that is interesting supplementary information, it doesn’t refute the original point.